Random Santa Goes Green Is A Runaway Word Of Mouth Hit! Not bad for a children`s book to sell 13 000 copies its first month on the shelves! Actually, it`s pretty stellar. Who says you need a big budget advertising campaign to make ends meet? 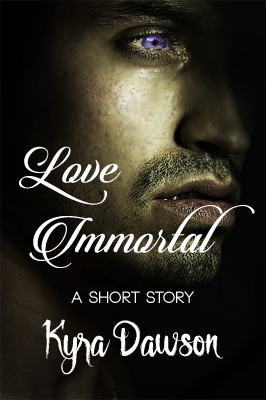 And it’s available just in time for Christmas, which I’m sure is no coincidence, my friends. 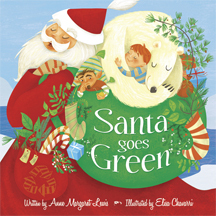 Santa Goes Green is written by Anne Margaret Lewis and is beautifully illustrated by Elisa Chavarri, and published by Mackinac Island Press. It’s also available for a preview before purchase at the publisher’s website which is just good foresight and always a nice touch. It may also be the contributing factor as to why this book is enjoying such runaway success coupled with news spreading by word of mouth. The topic is hot right now because it has Santa, a polar bear, walrus and a beluga (my youngling’s fave! ), and a conscientious youngling named Finn who is very concerned about global warming and sets out to do something about it. It has been said that this generation will truly be custodians of the Earth, the humanitarians. It is highly believable, as this generation seems to be highly conscious of things at a very tender age; things we ourselves at that age were never concerned about, and maybe even as adults still ashamedly haven’t become as concerned and involved as we should and could be. So, thanks for the heads up from my fab friend in far away Spain about this book! And it is the way most people have been hearing about it before it hit the media radar; through the grapevine, and the news is spreading like wildfire! So I’m off to pick it up for my own youngling, and as a gift for some other little special ones, because anything that encourages caring and is inspiring to boot is well worth giving! Happy holidays! christmas, global warming, polar bears, Santa. Bookmark. Love your blogs; bookmarked to fav. Always glad to welcome new readers! Merry Christmas! Going t grab this one ! !